Most bloggers like words, are fascinated by words, enjoy thinking about and playing with words, and want to use the right words. Nerds essentially, poets with an unrequited love, and I fall into that category. 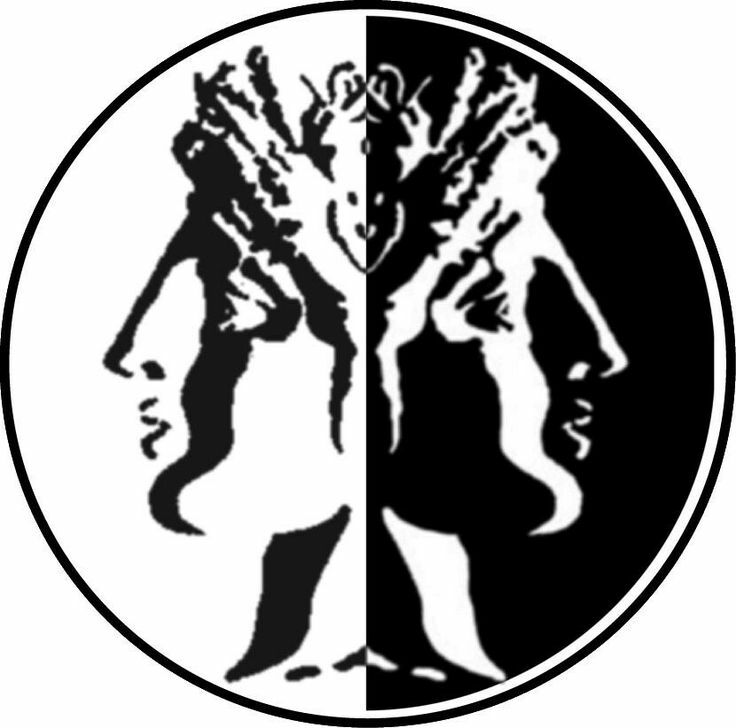 Janus words are self-antonyms, and with some thought, we can find quite a few of them. “Cleave” is a bit antiquated. Thomas Kyd penned “The Spanish Tragedy” in Elizabethan times. When did anyone last tell their spouse he cleaved to her? Perhaps you cleaved the firewood with a splitting maul. More likely you split the wood. In modern conversation, allusion to cleavage most often involves immodest dress. Still, we understand the opposite meanings of “joined with” and “split” by their context. How about the Janus word, “screen?” I’m wonky enough to look forward to watching a screening of “Pawn Sacrifice,” the new Tobey Maguire movie about the Bobby Fischer/Boris Spassky world championship chess match in Iceland. Screen can also mean to hide from view, as in Hillary set up a private server for her emails to screen her communications from oversight and legal inquiry. Oversight can mean to oversee and supervise, as in the Secretary of State has oversight responsibilities for the security of U.S. diplomatic missions and embassies across the globe. However, if an ambassador in a high risk country like Libya pleads for additional security forces, is ignored, doesn’t get the help he needs, then is murdered along with three other Americans in Benghazi, well, that’s an oversight of a different kind. “Sanction” can connote approval or condemnation. We can discern its opposite meanings depending upon context to guide us, even within the same sentence. The weak Iran weapons deal with its unpublished side agreements tacitly sanctions Iran’s nuclear weapon ambitions by removing all economic sanctions without enforceable inspection provisions, thus freeing up billions of dollars for Iran’s terrorist supporting enterprises. More? How about “trim,” which can mean “to decorate (add to)” or “to cut away?” “Fast” can mean to move rapidly or to stand motionless and firm. “Weather” can be used to describe wearing away over time or to persist unchanging in the face of adversity. A little thought and you can find others like “left” or “dust.” We don’t ponder these self-opposite words, and our brains adjust without pause to interpret them on the fly. As I thought of these words, another came to mind that, while not exactly an auto-antonym, can connote, if not opposite meanings, vastly disparate implications for the human experience. Let’s explore the word “sense” in a little more depth. Sense is a basic attribute of sentient beings. We need five senses as our means of learning about our environment. They become increasingly intimate and perhaps more primitive as we first experience them from far to near. We start to see from great distances; with a little help to the far side of the universe. Closer in, we begin to hear – the greater the distance, the louder the stimulus needs to be and the longer it takes for us to sense the disturbance. From explosion to the transcendence of music; the unwelcome intrusion of angry shouting to the whisper of a child with a secret. Next in comes smell, always particulate, sometimes exhilarating, calming or pleasant, other odors offensive or even frightening. Closer in still come taste and touch, requiring physical contact with that which brings to us the sensation. Sweet and pungent, bitter and delightful, hot and cold, sharp and soft, pleasure and pain. Within our most intimate relationships, all five senses intensify, and with the most personal of human contact with bodies intertwined, all senses heightened, we become one. Open to passionate sharing of our very selves, at its spiritual core, open to new life – both with each other and in co-creation with God. Not merely, “Let’s go lie down somewheres, baby,”[i] but “I in my innermost desire want our love to bear the fruit of a child, who is a lot like you.” The definition of marriage is an intimacy like no other inscribed in our nature as humans. The vagaries of cultural change can no more redefine marriage at its core than it can redefine our souls. Before plunging into my editorial, please accept my condolences on the loss of your Aunt Mary. Now a few thoughts on your recent post. Words evolve. Common usage and cultural changes cause words meanings to shift like tectonic plates. It’s called semantic shift and it happens all the time. For instance the word “literally” now carries a secondary colloquial meaning of “figuratively.” Go figure. Or take the word gay. Or thong, which in my youth meant one of a pair of flip-flops but today refers to a certain style of underwear. Usually semantic shift is of no real consequence. But sometimes the results of the shifts are earth shaking. Well, culture shaking really. Over the decades, as they have risen from subculture to mainstream, there have been countless opportunities to compromise with the LGBT community regarding the subject of marriage. Unfortunately the protracted intractability of the Right, the bigoted, and the blindly religious (as opposed to the reasonable religious of which there are many) did not help and only tended to make things worse. This eventually led to the SCOTUS’s recent review and decision. There is no longer gay marriage or straight marriage in the eyes of the law, there is simply marriage. From the viewpoint of equality and equal treatment under the law, this is only right and proper. Under the law marriage is a legally binding contract between two people. That’s all. Marriage licenses are issued by government entities and then presented to an authorized authority to ceremonially seal the commitment. Some elect to take their license to a clergyman for a binding ceremony under the auspices of a church or religious institution. Others take a secular route. Either way at the end of the process they are married in the eyes of the law. The reason for deciding to marry and the decision to opt for a civil, secular, or religious ceremony to bind the marriage is and should always be up to the couples. Licenses should never be withheld indiscriminately. Again, this equal treatment is only right. It is also contentious and sometimes for the silliest reasons. Consider that august group of upstanding citizens and Christians from the Westboro Baptist Church. (If those Bozos don’t properly punctuate the need for separation of church and state I don’t know what would…) They are about to assemble outside of Kim Davis’s office to denounce her as a sinner and false Christian over her several marriages. Not all marriages are for the purpose of procreation. My wife and I married when we were in our forties. It was the second time around for both of us. We had no intentions or desire to have children. We married because we wanted to seal a commitment to one another and so that we might legally act on one another’s behalf if necessary. There was love, there was respect, there was mutual admiration and support, and there was the desire and commitment to travel together as a team into the future come what may. For us that was more than enough and will continue to be so regardless of how the word marriage is defined. Let me respond to your clearly heartfelt and thoughtful contribution with some observations that may or may not bear on our points of departure. •	We once again find ourselves with vastly different perspectives from which to view the culture. I will reiterate that a Humean (not a misspelling, but an allusion) skepticism reduces human life to a combination of an animal and a computer, or a ghost in a machine. If all truth is uncertain and defined only by what can be experienced by our senses or proven true by either direct observation or the relationships of ideas spawned by direct observation (or the scientific method), a simple skepticism that to me is self-contradictory, then there is no transcendent truth, no aspiration to other than temporal and subjective morality bent to wherever the culture takes it. Ideas have consequences, and we are inheriting them, distilled and codified in strange ways. And reductionist philosophy leaves us reduced. •	Hence transgender or intrinsically disordered sexuality transmutes into a new, and to me sadly bent, normal. A normal in which a powerful government inflicts its will on a simple bakery whose owners choose for reasons of religious conscience to not participate in a wedding perceived as a mockery. Or a government imposes its politically correct and redefined order by filing suit against a school that refuses to allow access to a girl’s restroom and locker room to a boy who decides he really should have been made a girl, but God blew the creation of him. To me we have fallen down a rabbit hole where the mirror has turned objective truth and natural law to objects of derision and contempt. How very sad for us, that even to express dissent to what is pontificated as “tolerant” cannot be tolerated. •	Discrimination against human beings with proclivities we may or may not agree with is clearly wrong – for housing, employment, advancement, legal access and protection, inheritance rights. I would defend any and all efforts to afford such protection. And we are called with a sacred duty to love and respect the human dignity of every human being, irrespective of how we understand the choices those human beings make. However, when this new morality extends to a fundamental redefinition of what I view as a sacred covenant and proscribes me from expressing my conscience by declining to participate in a wedding that cannot possibly be a full union by my definition, then those rights end like the right to expression of your rights ends prior to your fist striking my nose. •	As to your marriage to your wife, any unintended slight is profoundly regretted, and it grieves me to think I may have given insult. I do believe that a marriage by definition must be “open to life” beyond itself and unselfish at its heart. That “open to lifeness” can indeed mean children, but in the case of physical or emotional infertility chosen due to stage in life, it can be expressed in many other loving ways. I do believe strongly through both observation and experience that marriages closed to life other than itself become hermetically sealed and begin to die. Love within a marriage is a great mystery, and I know that love can reach out to other life to bring its unique gift to others. And I would be a fool indeed to question the ways in which that gift is chosen to be given by anyone. Just that it needs to be open to share its gift beyond itself. Anyway, make a great Sunday afternoon, and thanks as always for taking the time to articulate what you clearly hold dear. May we continue to agree to disagree amicably and with mutual respect; this dialogue is what makes us human. My insult indicators never even pinged! The primary reason I enjoy reading your opinions is that they are so often diametrical to my own. May I never be so closed-minded that I am blind to other ideas and opinions. Considering your obviously well-reasoned arguments gives me pause to reconsider my own beliefs. It’s a wonderful and enjoyable form of mental gymnastics. After all, how can we ever be certain that our own thoughts and opinions are correct if we are unwilling to consider those that differ? I have learned much from following your blog since it has often sent me on journeys of discovery. For me skepticism is a method of filtering claims through reason and evidence. I want to believe as many true things as possible and without supporting evidence how can I determine what’s true and what’s not? Faith? Won’t work for me. Healthy skepticism does. I do agree with the points made in your second and third bullets. What is this new normal? It’s weird, isn’t it? And it extends far beyond sexuality. What about the briefly-notorious white Washington woman who identified as black? Say what?! You are what you are and not what you’re not. Thinking doesn’t make it so. I am officially and certifiably 1/16 Cherokee but you won’t see me in traditional Cherokee clothing or find me expecting privileges by virtue of my accidental heritage. (Although I have considered “identifying” as Native American when filling out forms and surveys. Just as a goof you understand.) I consider myself a tolerant and empathetic person, but so far I have been unable to wrap my brain around these concepts of self-identification… And I fear I never will. I would readily defend any baker or seamstress or wedding planner from participating in a ceremony they believed to be in opposition to their values and principles. How silly! How senseless! In my mind that’s not discrimination and it perturbs me that the courts have ruled in favor of such nonsense. But how did we arrive at this place? It was a long and winding road and there were many points along the way that we might have averted the current outcome but failed to do so for some of the reasons I mentioned in my earlier response. But there are other reasons. Many others. And this begs the question you already raised in this string and in the title of your blog: Where are we headed from here? The mind boggles. Or at least mine does.